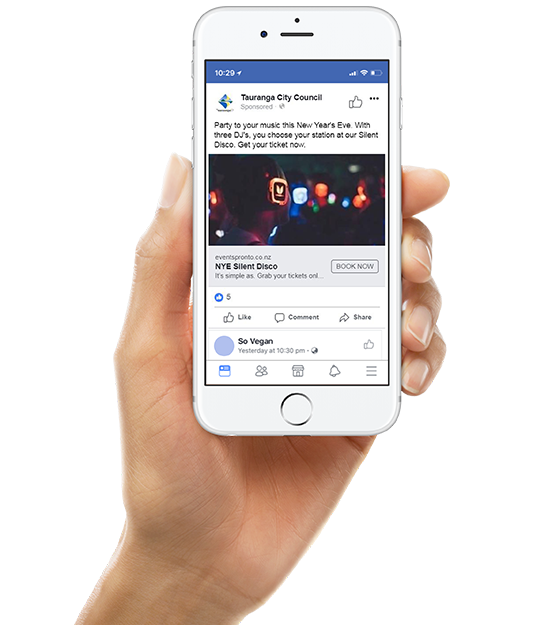 Tauranga City Council were looking to educate young adults on how to have a safe but fun night on New Year’s Eve and to communicate what’s happening across the city to a defined audience. Adcorp analysed the required demographics and target audience groups. Running four localised communication plans across the city, it was important that the audience did not see overlapping material. 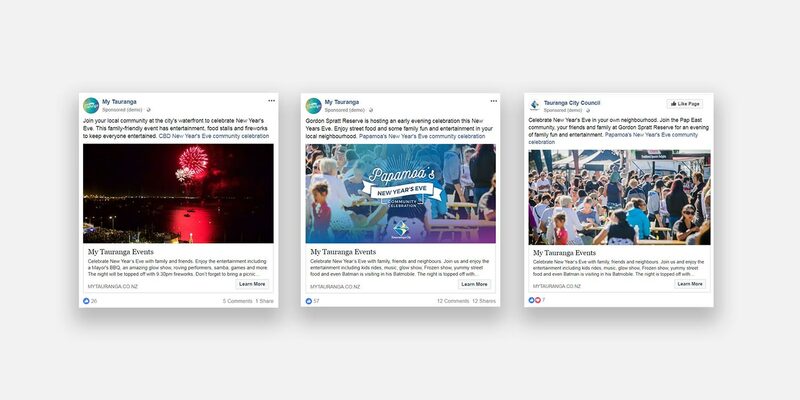 In partnership with the council, Adcorp developed a media strategy for each event and message. A media plan was produced containing four individual timelines. Adcorp then created detailed messaging, placed and managed the advertisements across social and other media outlets. Social advertising connected with the audiences.